SELLING TO THE HIGHEST BIDDER!!! 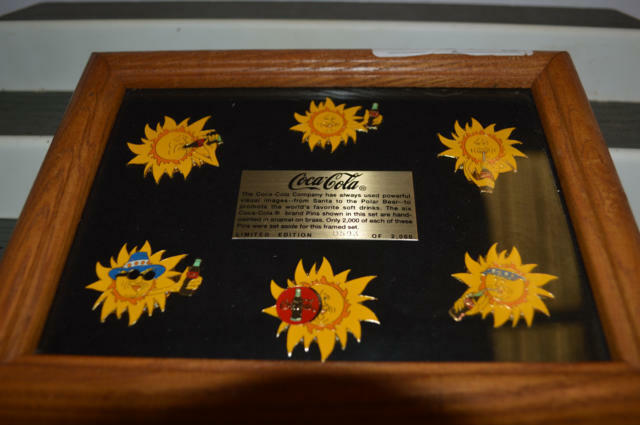 Hundreds of Coca Cola Memorabilia items from the Brent Dearmon estate. All selling online to the highest bidder! 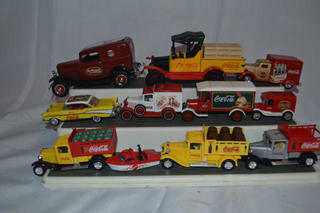 Christmas village figurines, Coca Cola Trays, Coca Cola Displays, Coca Cola Lamps, Coca Cola Bears, Coca Cola Bobbleheads, & MORE!!! BUYER’S PREMIUM: A 15% buyer’s premium will be added to the purchase price. 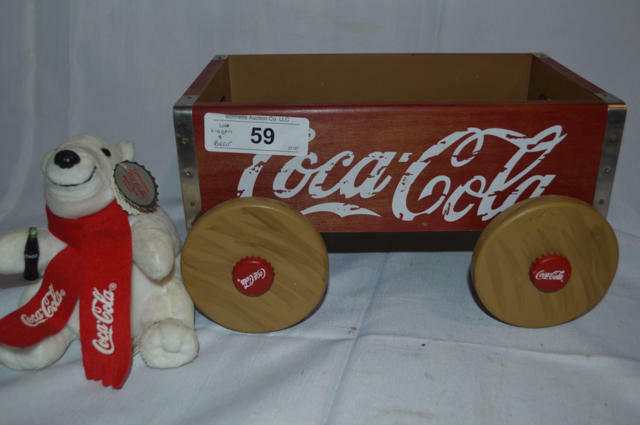 This is an ONLINE ONLY AUCTION PLEASE DO NOT BID if you are unable to comply with the terms and conditions provided by Bonnette Auctions located at 3804 McKeithen Drive, Alexandria, LA 71303. Purchaser may pay full amount due on day of sale if desired. WARRANTY & CONDITION OF ITEMS SOLD: All property is offered as is, where is, with no warranty of any kind. Due diligence is essential. Bidders shall rely on their own inspection and not upon any description by the auctioneer, seller, or their respective agents. All dimensions and descriptions are based upon information supplied to the auctioneer, owners, and their agents and are subject to possible variation. USE CAUTION: Please be aware that bidders sometimes increase their own bid to price an item out of reach of other bidders. You should immediately review your bids once submitted. If you mistakenly increase your own bid, place your bidder number in the bid field, or make a typographical error, you must immediately contact our office via email at wendi@bonnetteauctions.com or calling 318-443-6614. We will not reverse bids after the auction has closed-NO EXCEPTIONS! DYNAMIC CLOSING: The closing time of an item is automatically extended an additional 5 minutes whenever a bid is placed within the last 5 minutes of the item’s closing time. 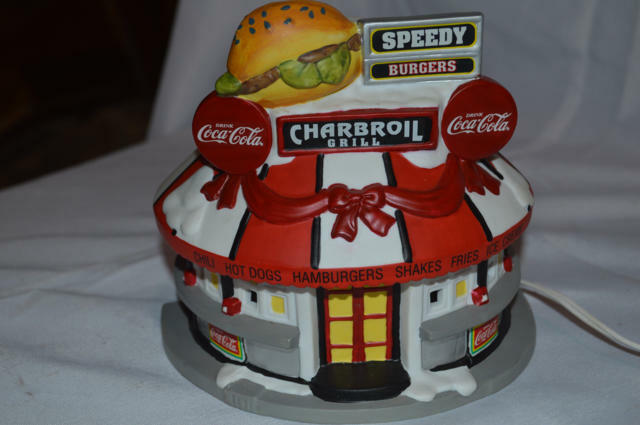 Thus, if an item is set to close at 2:00pm CST, and a bidder places a bid on the item at 1:58pm, the item’s closing time will be extended to 2:03pm. If another bid is placed at 2:01pm, the item’s closing time will be extended to 2:06pm, and so on. It is therefore important to monitor items you’re bidding on by regularly refreshing the page as the auction nears closing. BID NOTIFICATION: If you have been outbid you will be notified by email. You can turn this option off in your bidder settings. WINNING BIDDER NOTIFICATION: Winning bidders will be sent an electronic invoice by email. You will also receive a call from a representative at our office. CLAIMS AND RECOVERY: All sales are final. No claim will be considered for allowance adjustment or rescission of any sale based on failure of the property to correspond to any particular standard or expectation. DUE DILIGENCE IS A NECESSITY. CHOOSE WISELY: We want everyone to be pleased with their experience. However, if you decide an item is not suited for your intended use, our clients are not willing to assume the cost of your mistakes. 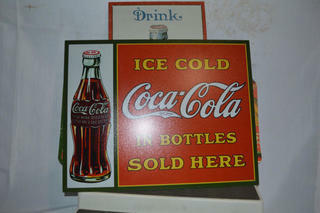 When in doubt about condition, completeness or suitability for intended use, please bid accordingly. CERTAIN RIGHTS RESERVED: The auctioneer reserves the right to add or remove items from the auction, cancel, suspend, extend, or reschedule an individual item and/or auction event; make changes to the auction closing times or inspection or removal times. 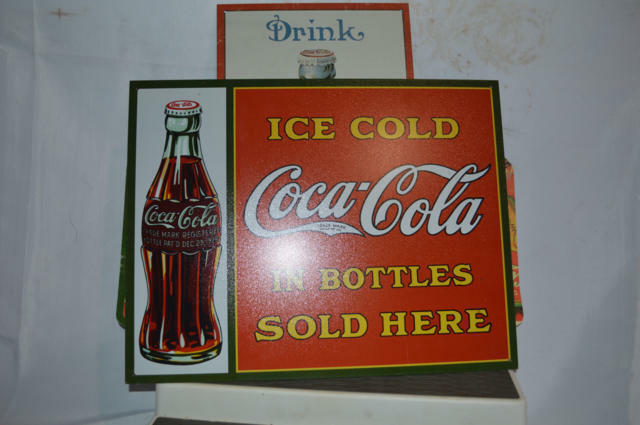 DAY-OF-SALE ANNOUNCEMENTS: Announcements made day of auction by the Auctioneer shall take precedence, over any previous advertising or description. Conduct of the auction, increments of the bidding and decisions as to the highest bidder will be at the direction and sole discretion of the auctioneer. The information contained on the websites is subject to the inspection and verification by all parties relying on it and no offer, contract or guarantee expressed or implied, is given on the information contained on the website. No liability for accuracy, omissions, or errors is assumed by the auctioneer, owners or their agents. Bidder consents to receive any and all announcements by electronic mail to the listed address in the bidder’s profile. SHIPPING: All shipping will be paid for by the buyer via UPS. All items will have a $7.50 per item handling fee.